LAST June we reviewed French publisher Les Rêveurs three fat volumes of Krazy Kat Sundays translated into French by Marc Voline, using the same boards as the recent English-language Fantagraphics series. I now have the final volume (1940-1944) in hand which allows readers a long view of the collected Sundays from 1925 to 1944. CHANGE OF SPACE. During the early black and white period the landscapes are more naturalistic, the characters inhabit a wider white space. A change comes with the color Sundays, the wide open spaces are tightened and there is more of an emphasis on full pages as designs in their own right. WINDBLOWN. 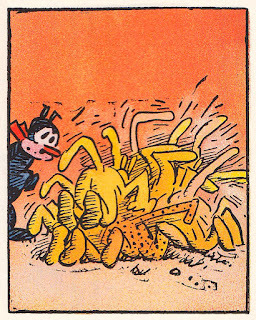 As the comic strip aged, Herriman’s characters lost a lot of the free and easy windblown quality they presented in the 20s. Images were constricted by heavy-lined panel borders, probably to better hold the color. 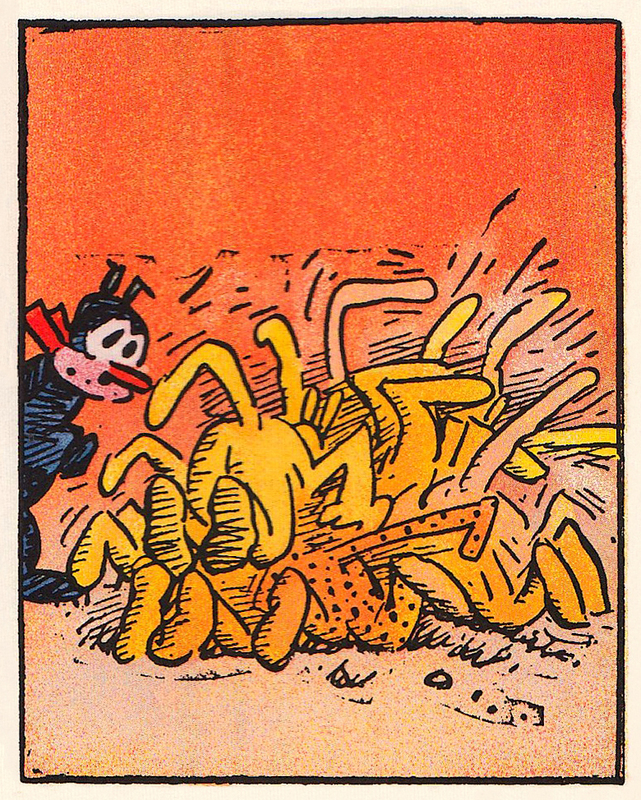 Scratched out figures were solidified by the use of heavy brush lines on one side of the characters bodies and the potted trees often resembled props rather than naturalistic parts of Herriman’s strange universe. PAST THOUSAND. 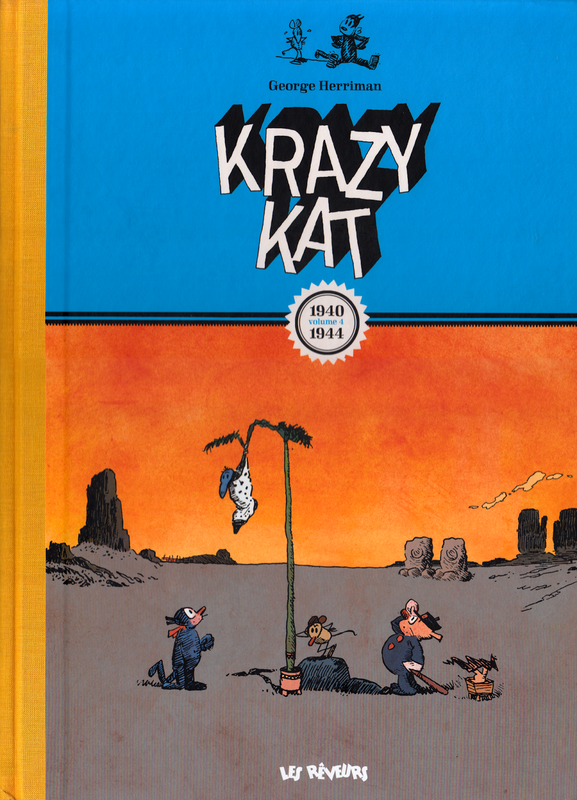 The French Krazy Kat volumes are nearly twice the size of the Fantagraphics editions (26.5 x 37 cm, or 10 5/8 x 14 3/4 inches) which used the same material. The only book to reproduce larger pages was the 2010 Sunday Press volume Krazy Kat A Celebration of Sundays which reproduced 135 full-page Sundays from 1916-1944 at 14 by 17 inches. 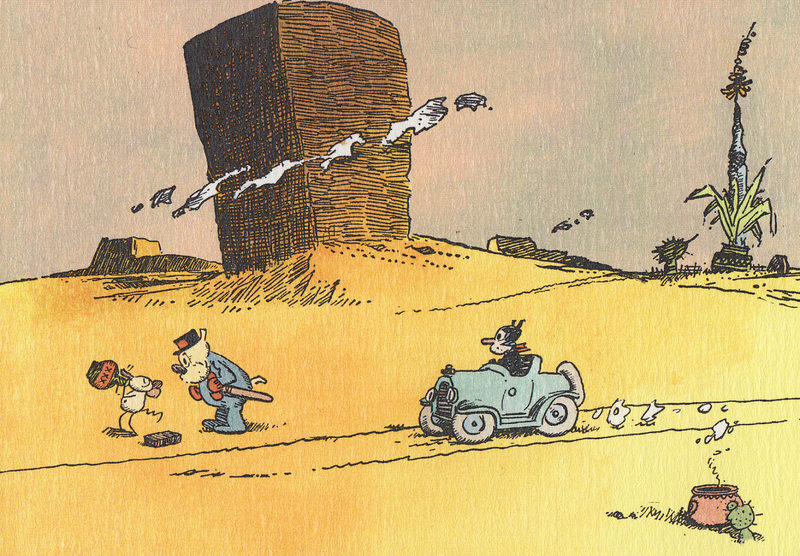 The fourth volume in Les Rêveurs edition runs to 265 pages. 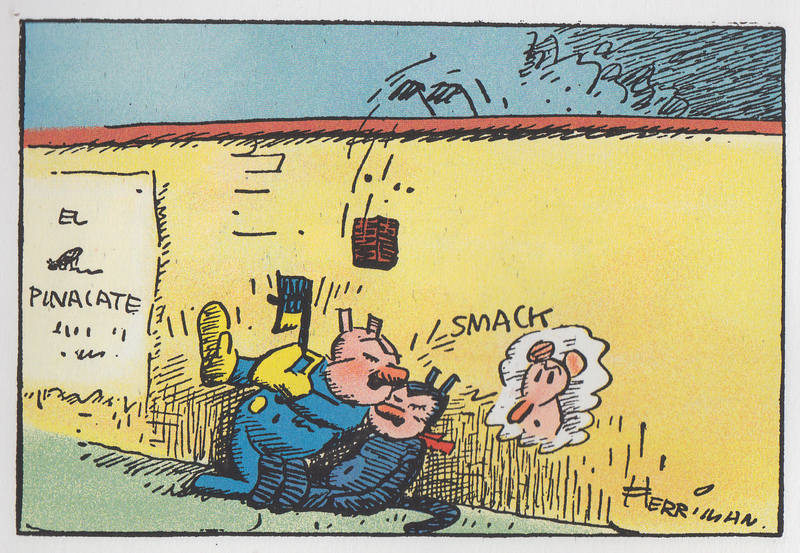 All four volumes present 1074 glorious Sundays, all in Voline’s French translation — altogether a massive collection and a stupendous achievement to revive Herriman’s comics. KOKO LAND. 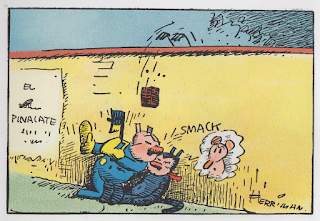 For kat kompletists Les Rêveurs also published Les Aventures de Krazy Kat et Ignatz Mouse à Koko Land, a reprint of an oblong children’s book originally published by the Saalfield Publishing Company in 1934.